There is an awful lot of turmoil affecting the financial markets today, as history has proven that what goes up, will come down. All bubbles burst, and China is a good example. You can see the impact of economic uncertainty regarding China’s diminished rate of growth merely by watching stock markets worldwide and the negative impact it has had on commodity prices. Domestically, if you look at the energy markets – particularly in Texas – we are also undergoing significant change, not to mention a little heartache over the diminished price of oil. Even seasoned oilmen in the major basins throughout Texas and Oklahoma will tell you that while life was pretty good for a stretch in the energy sector, nothing lasts forever. Plenty of firms made a lot of money during the recent boom times. Turn the clock forward to present day, and there is a wealth of companies poised to suffer due to the significant drop in oil prices, including businesses in other sectors that service the oil industry. Things change very suddenly in the oil patch, like they do in a lot of businesses, and there’s no scarcity of people who are HOPING the price of oil will come back. While I can guarantee that prices will rise, I believe that it is not going to happen anytime soon. So what can you do if your business (energy or otherwise) is floundering? DON’T rely on HOPE to see you through to the other side. Hope is not a strategy, and people who own and run businesses need to understand that. Hoping that things will get better (the price of oil will go up, customers will come back, etc.) doesn’t set you up for success. Taking a few haphazard steps won’t do the trick either (battening down the hatches a bit, laying a few people off, etc.). DO develop a solid, strategic plan to reach your goals. People who plan are much more successful than people who don’t. To survive a downturn, you need a solid, strategic plan that sets you up to operate in a significantly different environment. Over the years, I’ve seen a variety of companies run into trouble, both financially and operationally. And I have witnessed many businesses fail unnecessarily. By planning ahead, most companies should be able to make it through a downturn. They can do so by reorganizing, restructuring or setting up their company for a merger or some alternative M&A solution. Some may even consider selling the business before they lose everything. What Happens When a Business Goes from Feast to Famine? Say you own a water hauling business that has been serving the fracking industry. Business was great for a while, oil was selling at $95 to $105 a barrel, and money was flowing like a river. Your 12 water hauling trucks were running overtime, so you decide to purchase 10 more trucks at $65,000 each. The bank loans you $650K, your business is going well, and you’re getting new contracts. Then all of sudden the market changes, oil is hovering around $50 per barrel, and you don’t have any use for these trucks, because drilling has all but stopped. Clearly, it’s time to switch gears, so what can you do to get out from under? Step 1. Take a good hard look at your assets. Following the downturn, half of your trucks are sitting idle. The size of your fleet (your assets) hasn’t diminished, and neither has your bank loan or bank payments attributable to those assets. Every month you have to make that bank payment and pay down the $650K, but you don’t have an income stream to do so. IMPORTANT: There is a direct correlation between future cash flow (the money you’re going to take in this coming year) and the current quality of assets. Your assets (those trucks) are only of good quality if they’re working and hauling water. If your assets are sitting in your yard and not doing anything, the quality of your assets will have diminished and won’t be worth as much. The net result is your future cash flow is impaired, and your company is in danger of default. No matter what type of business you own – whether it’s a retail business, manufacturing company, oil field service business, etc. – when your business starts to tank, you really need to take a look at your assets, because your balance sheet doesn’t change. Step 2. Devise and execute a plan to make non-working assets productive again. Had you planned and prepared for a downturn (as all businesses should), you’d be ready to switch gears rather quickly. However, if your business plan hinged on HOPE and HOPING things would get better, you will need to take a step back, start planning and begin executing fast. Ask yourself: How do I make those non-working assets productive again? Maybe there is a community running out of water you can engage with for new opportunities, or perhaps you could paint those trucks and get in a different business altogether. In truth, everyone who is hauling water in the industry will be faced with the same problem. So the net result is that your assets aren’t worth as much. It’s a simple case of supply and demand – you can’t sell the trucks and pay off the bank loan, because there are too many water hauling trucks on the market. What I have just described is the actual state of affairs right now for water haulers, and it’s just one example amidst hundreds of different types of businesses in the energy industry that are suffering losses today. Unfortunately, many of these water truck owners will wait too long for business to come back, or outbid on water business at 20 to 30 percent less than what they were getting previously. They might keep the trucks running, but they won’t be making any money. Consequently, you have a whole lot of people in the water hauling business who were once working around the clock, and now half of them have their trucks parked. Their assets are declining in value because they’re not producing any income. If these companies don’t act now, they risk losing a large portion or all of their water hauling businesses. Step 3. Cut fixed costs and overhead, and tighten up A/R. Take time to analyze how to reduce fixed costs and overhead (an investment banker can help with this process). For example, if you have 12 trucks that are parked, you can lay off the drivers and people who work in the garage. You’re not buying as much gasoline, and you’re still making the bank payments. These tough measures may still not be enough to survive. Next, you need to look at any money coming in. How well are you managing your accounts receivable? If you let money sit out there uncollected because people are paying you in 90 days, you are losing money because there is a value to that cash flow. If you can instead collect in 30 days, you will improve your cash flow considerably. Concurrently, you can approach your creditors, who you were paying in 30 to 45 days, and now request 90 days to pay. Or, you could try to renegotiate a lease with your landlord. You might be surprised at how willing people will be to work with you through this rough patch. In sum, try to collect money fast and pay slowly. 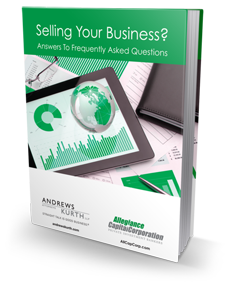 It’s one way to help stabilize your business in the short- and long-term. Merge with a larger company. If you own 100 percent of a company and its value falls, you may be better off merging with a larger company in the same industry. That way, you could end up owning part of something that is bigger, stronger and healthier, while preserving more of your equity. Restructure debt. If you have enough assets, you may be able to restructure a loan at a longer term with lower payments that may allow you to survive the downturn. Sell the company. If the future doesn’t look rosy, one of your best alternatives may be to sell your business now. You may not get as much as you want, but it’s better than selling your assets at auction a couple years from now, because you relied on HOPE and waited too long. Step 5: Get an educated, objective opinion from your investment banker. When a business is floundering it can be a very emotional and stressful experience for the business owner. Family is often involved and many business owners also think of their employees like family. That’s why it’s important to bring in an investment banking firm with experience analyzing companies from a financial standpoint and without emotional ties to the business. An unbiased investment banker can take a tough, analytic and objective look at where you’ve been and where you are today, make a best estimate of what the future is going to bring and then present you with options. With all of these options in hand, you’ll have an easier time making an intelligent decision about your future and that of your business. If you think things are tough and your business is having problems, start planning early. Many times, people look at their family business the same way they look at their kids, and their opinion is biased. By the time they figure everything out and get over their emotions, they’ve hit the wall. Our goal at Allegiance Capital is to get in early enough and give business owners a plan and a structure so they can survive, then formulate some options, while they still have a chance to exercise those options. Choices can disappear fast when a company starts running out of money. So remember, hope is not a strategy. A good solid plan with a few options is a strategy, even when those options are painful. I’ve survived six major economic downturns, so I know this too shall pass. You just need to be prepared.